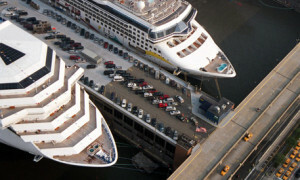 Cruise Ship Operations - United Stevedoring of America, Inc.
United Stevedoring of America, Inc. strives to set the bar for service to the cruise industry. We offer our customers a “Total Package of Services” which include terminal management, stevedoring, agency, and ground services. 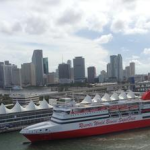 U.S.A. provides cruise services in U.S. Ports on the east coast, we welcome cruise guests from all over the world and can accommodate the needs of hundreds of cruise ships. We are committed to the delivery of memorable cruise experiences, starting and ending in our terminals. 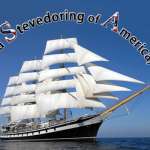 United Stevedoring of America offers vessel agency services designed to promote a partnership with our customers. We are committed to offering services that support the needs of each vessel while in port, in accordance with the best maritime practices and current port regulations. We meticulously oversee every aspect of a ship’s call and ensure no detail is overlooked. Stevedoring is one of our core strengths. We have state-of-the-art equipment and the refined planning matrices to manage each aspect of passenger flow, stores handling and technical support required by modern cruise ships. Our dedication, experience and efficiency have resulted in consistent, on-time departures. United Stevedoring of America is a cruise terminal operator. 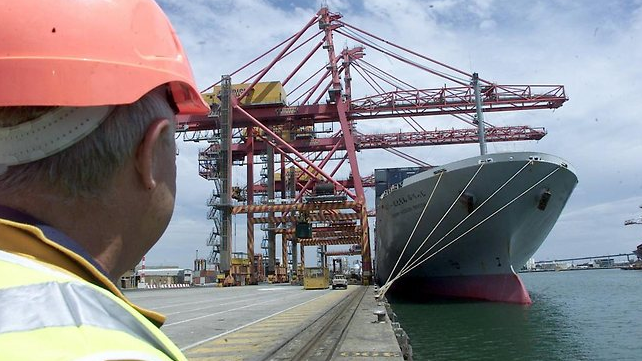 Our clean and efficient terminals are serviced by highly-trained longshoremen who understand how to work efficiently while also offering customer service. We are accustomed to welcoming thousands of cruise guests and managing their arrival, check-in and departure through our terminals effectively and safely. We have the resources to offer an immediate response to service requests from the cruise ships docked at our terminals. We are accustomed to welcoming cruise ships and managing their arrival, check-in and departure through our terminals effectively and safely. Our dedication, experience and efficiency have resulted in consistent, on-time departures. U.S.A. Cruise Ship Operations have the resources to offer an immediate response to service requests from the cruise ships docked at our ports. We have state-of-the-art equipment for stevedoring and refined planning matrices to manage each aspect of passenger flow, stores handling and technical support required by modern cruise ships. United Stevedoring of America is recognized as a cruise industry leader in providing stevedore services and terminal operator services for handling bulk cargo for different cruise lines. Our focus and proven track record reflects a long history of providing the management, engineering, operational resources and expertise to work in a competitive environment to meet demanding safety, environmental and quality standards. Copyright © 2015 United Stevedoring of America (USA) . All Rights Reserved.